Every time I have the occasion to buy swim goggles, it seems like an eternity has passed since the last time I bought them. 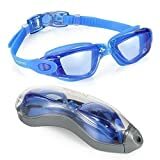 This last time around, I decided to let Amazon do the shopping for me by typing in “swim goggles” and sorting by rating. A surprising name, I was honestly unfamiliar with, came up: Aegend. At $13, I thought, what the heck and two days later, I was cruising laps in my new snap-back, blue lens goggles. I’m not an expert on swim goggles, but I do have a few criteria: they can’t leak, fog or slip off easily. Check check check. Aegend fits the bill here. It also comes with a pretty decent plastic case, so there’s no lens scratching going on while jostling around in the bottom of your gearbag. Bottom line: great Amazon buy. Almost a year later, they still are my daily drivers. And my old pair, I keep those around just in case of emergency but don’t expect to pull them out anytime soon! This is an unbiased review. I was not compensated in any way for this perspective. 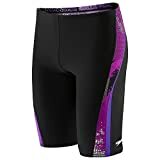 This entry was posted in Reviews and tagged aegend, goggles, swim, swimming.